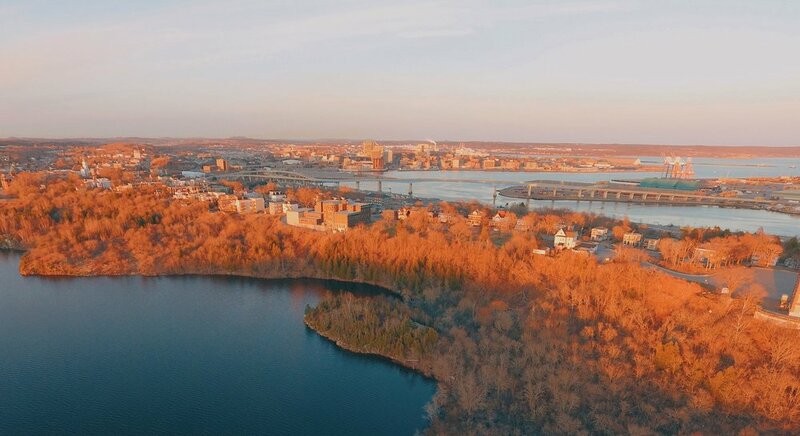 In collaboration with the City of Saint John, and through support from New Brunswick’s Climate Change Secretariat, ACAP Saint John will also be developing a Climate Change Adaptation Plan for the city. We will do so by incorporating climate change adaptation strategies for stormwater management while identifying, assessing and mapping risks and vulnerabilities in the city, and developing adaptation methods to increase resiliency throughout Saint John. Outcomes from these two-year projects will be used to identify green infrastructure projects for stormwater management and to develop best practices for land use planning, low impact development, and municipal design and planning guidelines. Outcomes will inform ongoing development of neighbourhood plans, emergency measures planning and resiliency planning moving forward. The project will provide a robust understanding of climate change related issues for adapting our region and direct both the City of Saint John and ACAP Saint John in on-the-ground adaptation actions and capital investments. In a community defined by its oceans and waterways, ACAP’s work to identify best practices for stormwater management, to find innovative methods of adapting to climate change, and to execute placemaking projects, will enable community members to participate in bringing positive change to our shared water future. With help from the community, ACAP will also develop at least two demonstration sites. This will involve reaching out to residents and other community stakeholders/rights-holders to participate in public space revitalization with an emphasis on quick, easy, cheap interventions based on placemaking principles. These principles use an innovative approach to involving community members in small-scale, hands-on interventions to improve the environment and use of shared public spaces. Demonstration projects could include rain gardens, parklet designs, stormwater detention ponds, green roofs, curbed wetlands and/or rain barrels depending on the input received from citizens. Community consultation in neighbourhoods in the Central Peninsula, Lower-West Side and the North End will occur Fall 2018. Keep an eye on our events page for public information sessions and other community engagement for this project.